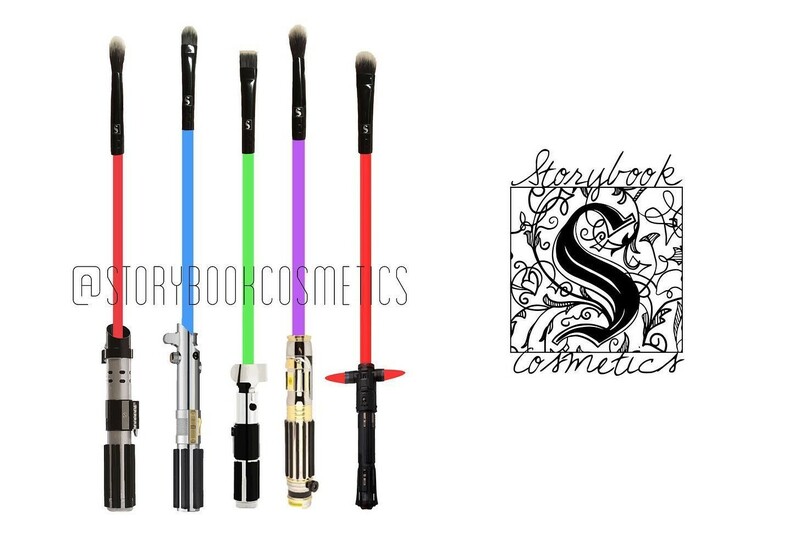 Storybook Cosmetics has a fantastic project in the works – lightsaber makeup brushes! These are still in the concept phase, awaiting the necessary licensing to produce – I really hope they can make these a reality! 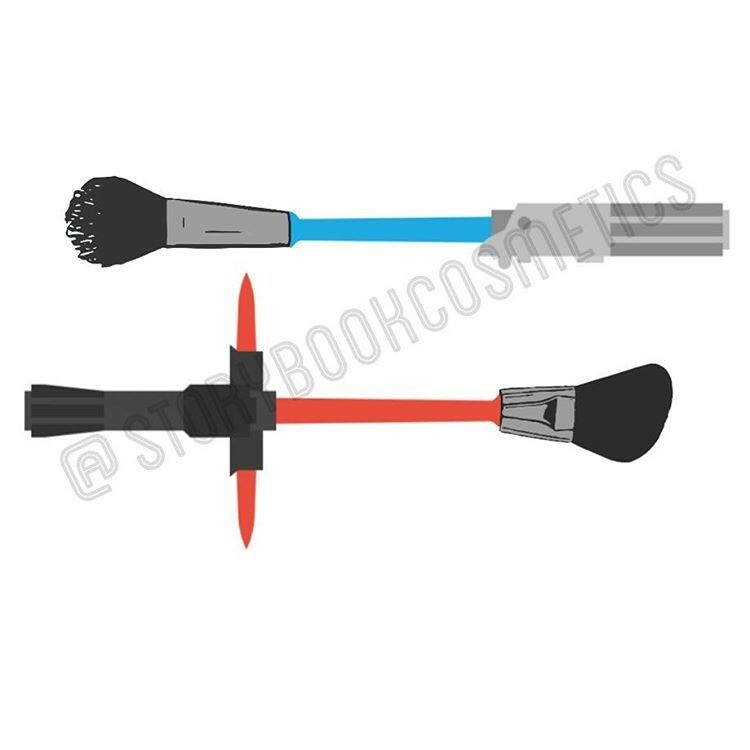 The concept set includes 5 designs, featuring a different lightsaber for each brush – Darth Vader, Luke Skywalker (or Rey), Yoda, Mace Windu, and Kylo Ren. 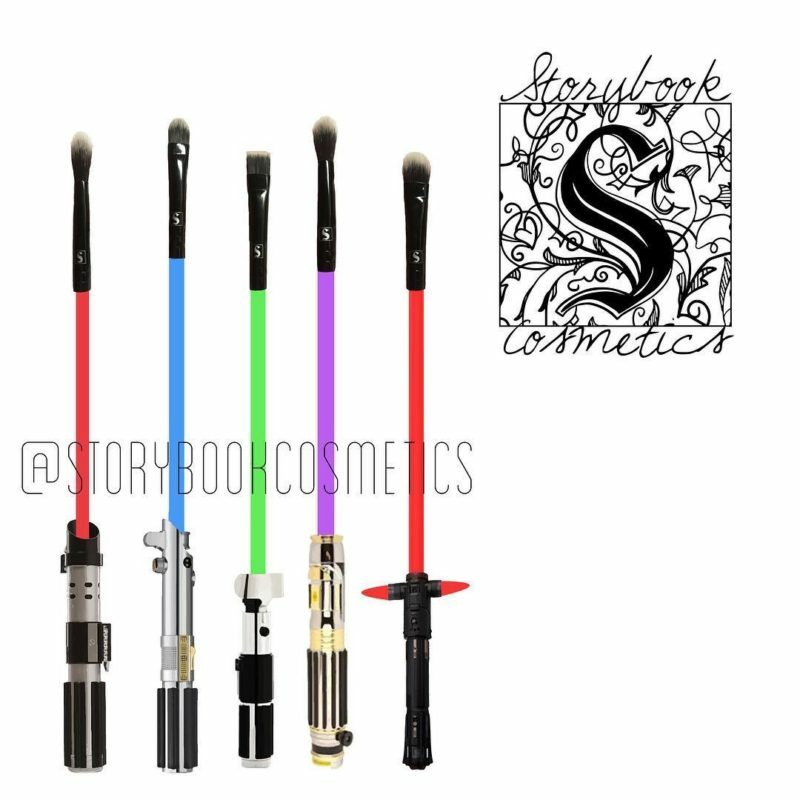 There are so many possibilities for Star Wars themed makeup and accessories that have been missed by earlier collections (Yves Saint Laurent and Covergirl), I’m glad to see someone sees the potential – and demand! Cross your fingers that everything works out so that these can be made! Photos sourced from and belong to Storybook Cosmetics.